A huge box of goodies landed at my door ready for the week ahead and I couldn't wait to get stuck in. When I eat well, drink lots of water and exercise, I feel so much better about myself. Not just my well-being, but my skin, hair and body just feel and look better when I've been nourishing it correctly. I don't just eat well to make myself lose weight, I eat well in order to nourish my body, look after it and also, nourish my skin hair and nails too. Most of you will know by now that I believe in health and well-being becoming a part of your daily routine, it's not a fad, it's a lifestyle choice. You feel better for looking after yourself and making small changes like choosing healthier options, drinking more water and working out. These are small lifestyle choices which will benefit your whole well-being! 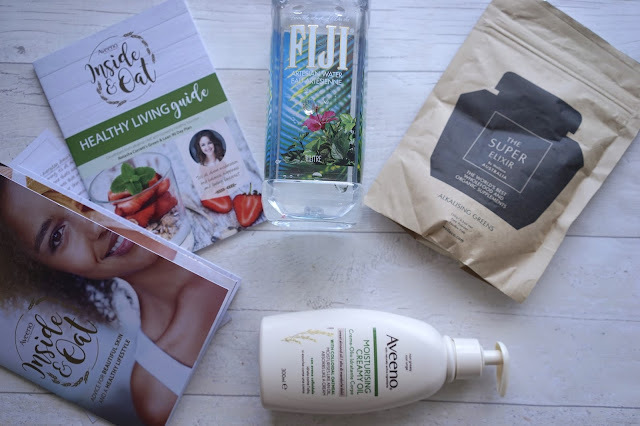 Inside my box, what I've been waiting for, my beautiful heathy living guide and skincare plan. 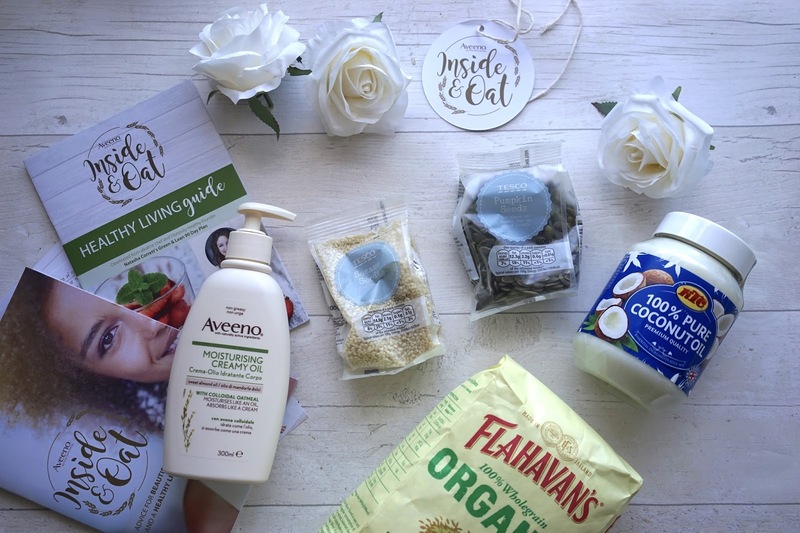 The idea is that I try out this healthy skincare and lifestyle plan for a week whilst trialling AVEENO's body product range too. 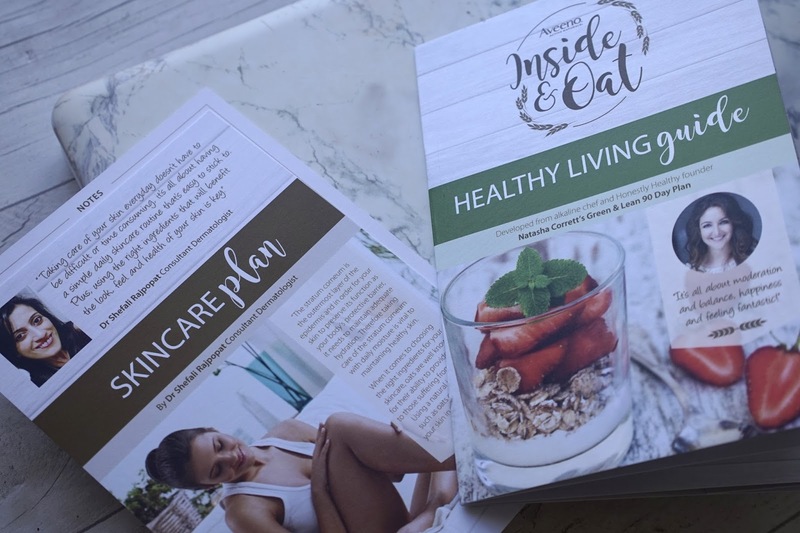 Today I'm going to talk you through the lifestyle plan and maybe you can try this lifestyle plan too and see if it benefits your skin! 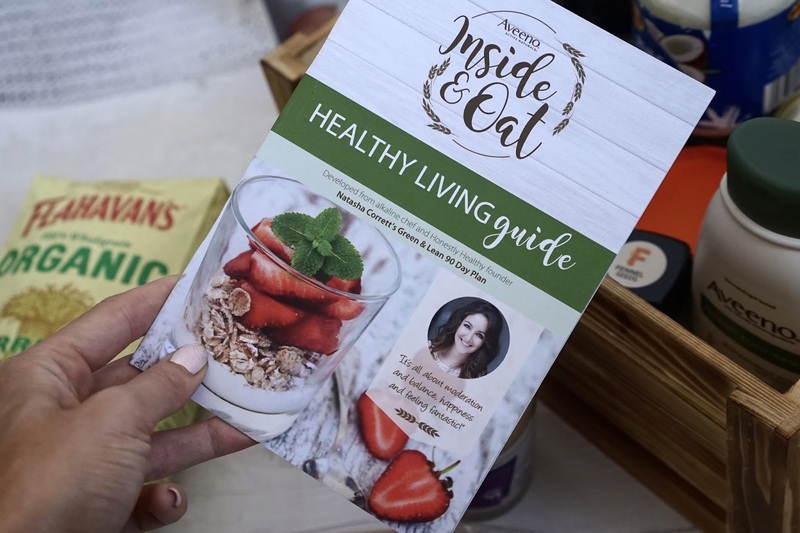 The healthy living guide recommends prepping meals for the next day, having meals packed with a mixture of carbs, protein and fats on the days I work out and meals with a higher ratio of protein and fats with a reduced amount of carbs on days I don't work out. I work out five times a week so do tend to have quite a carb heavy diet, the good kinda carbs though (wholewheat rice, quinoa, vegetables etc) - you can read about what I do at the gym here if you're interested as obviously working out is a huge part of well-being! The guide also recommends working out in the morning before eating breakfast, I try to do this as a fasted work out and then enjoy my breakfast afterwards. Another piece of advice from the guide is to aim to eat within 30/45 minutes of working out, I always live by this rule as apparently it's when your metabolism is fired up and really ready to burn whatever you're eating but also, refuel the muscles. 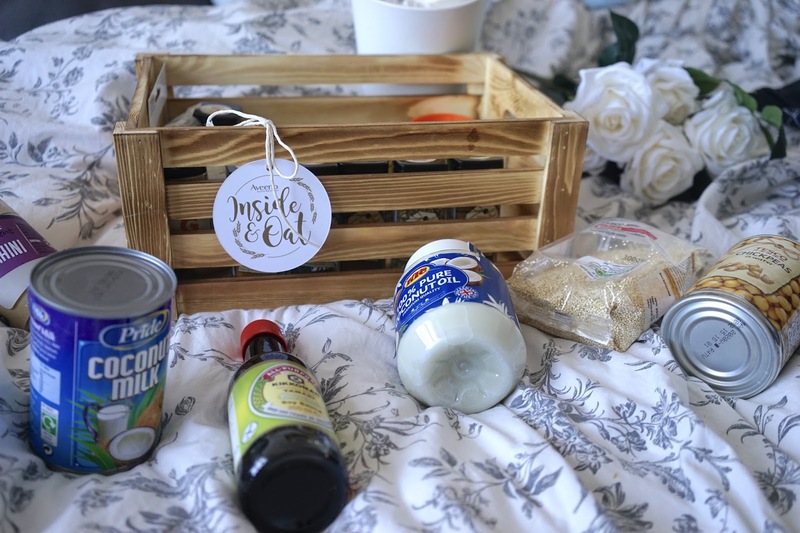 Inside the incredible hamper is essentially what's inside my cupboards, no lie. You all know how much I swear by oats, cinnamon, chili and coconut oil. I use these pretty much every day. 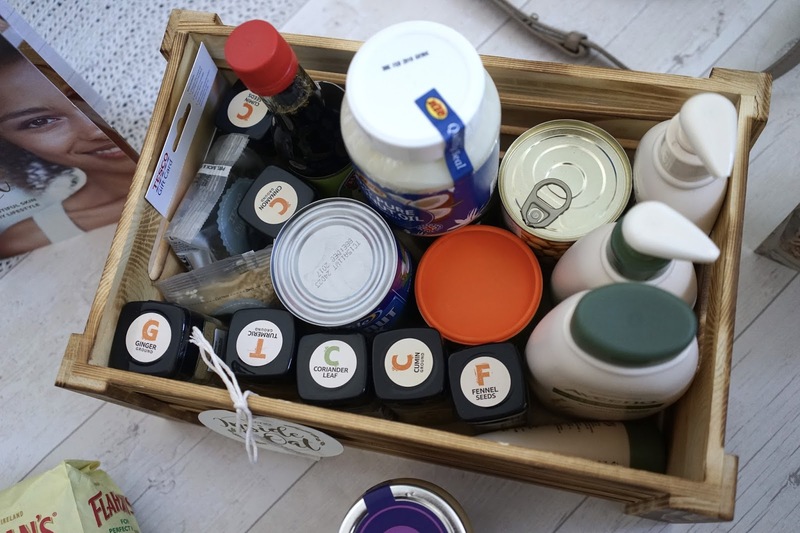 The guide comes with an example shopping list, I feel proud that it pretty much replicates my own shopping list but I'll leave a list of the things below so that maybe you can go out and get involved too! Example shopping list: Pumpkin seeds, quinoa, cinnamon, chick peas, ground cumin, coconut milk. fennel seeds, ground ginger, ground coriander, cumin seeds, ground numeric, tamarin, rice syrup, bullion, sesame seeds, coconut oil, olive oil. Fresh things: Butternut squash, sweet potato, carrots, celeriac, beetroot, fennel, broccoli, salad leaves, coriander, ginger, kale. garlic bulb, lime, rocket, goats cheese, lemons, chill, tempeh, leeks, egg, avocado, parsley. Mains: Root vegetable soup, beetroot, fennel and goats cheese salad, celeriac mash with tempeh steaks, wild rocket pesto quinoa sweet potato salad, butternut curry, chickpea oat burgers. What I eat usually - you can read about what I eat normally here but you'll notice my shopping list is very similar to the one above! Don't forget, this is just a week long guide but I really do like the look of the recipes so will be using these for more than a week! 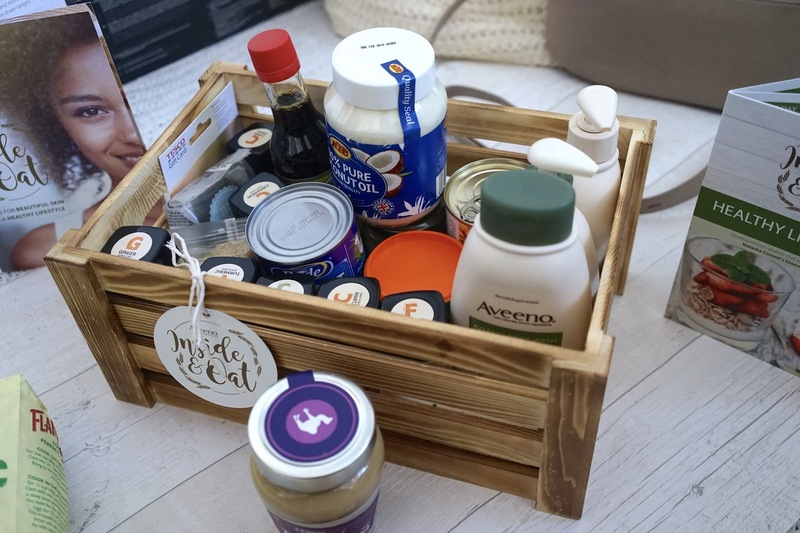 The great thing about all the ingredients on the shopping list is that you can mix and match them all to make incredible breakfasts, lunches, dinners and snacks and know that they're all good for you but they're all super tasty too. I'd definitely add some blueberries, Greek yogurt and spinach in there but I will be following their plan as closely as I can. 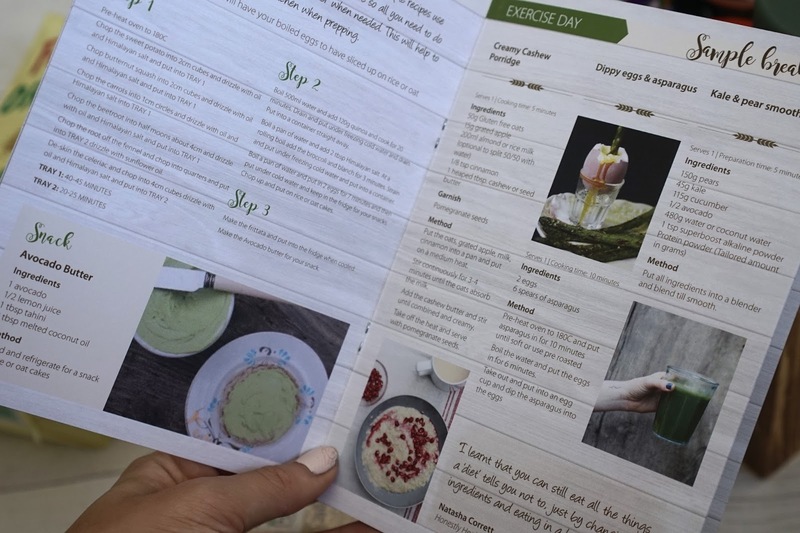 As the lady who made this plan says, "you can still eat all the things a 'diet' tells you not to, just by changing the ingredients and eating in a healthy way". 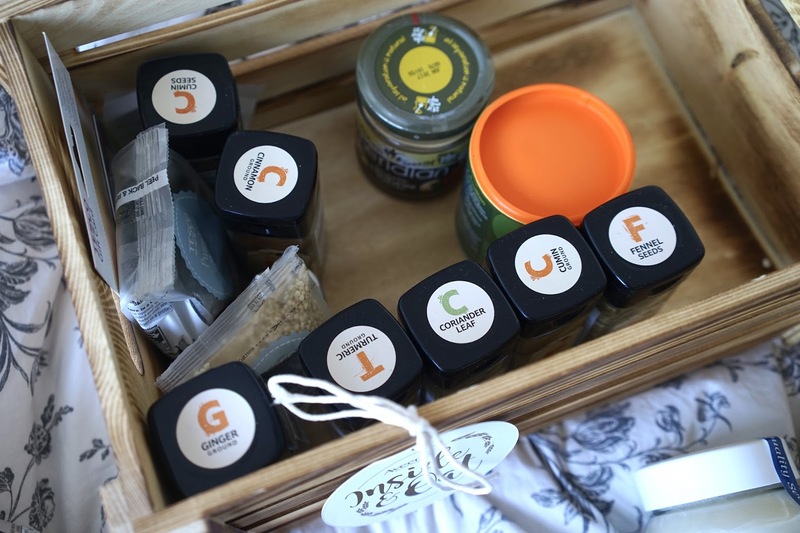 If you've read any of my healthy recipes, you'll know this is the way I live! I eat chocolate peanut butter cups, chocolate brownies and delicious pancakes but I just make them with natural, healthy ingredients, they taste naughty but they're so good for you. 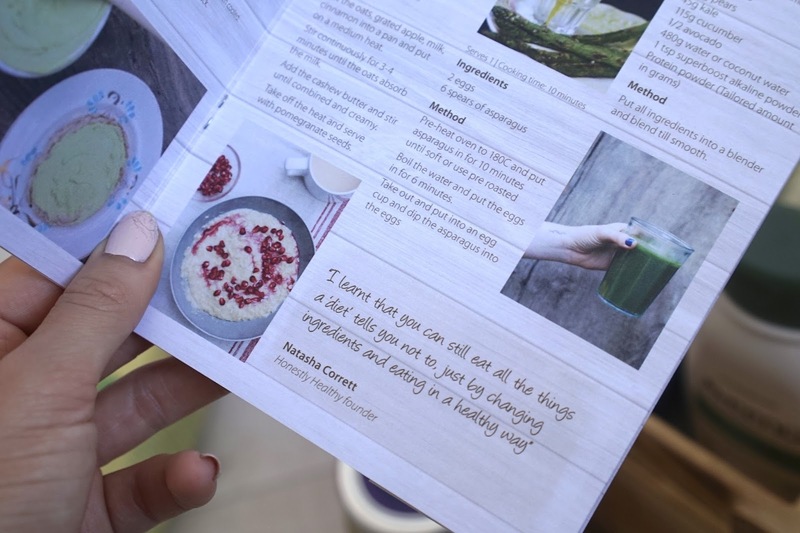 I completely agree with the guide though, life should never be about dieting or depriving yourself, I live by the 80/20 rule and eat well for 5 days and then allow myself to treat on weekends, that way, I'm never deprived! Live is for living and it's about balance. Skincare Plan: The skincare plan comes from Dr Shefali Rajpopat a consultant dermatologist. 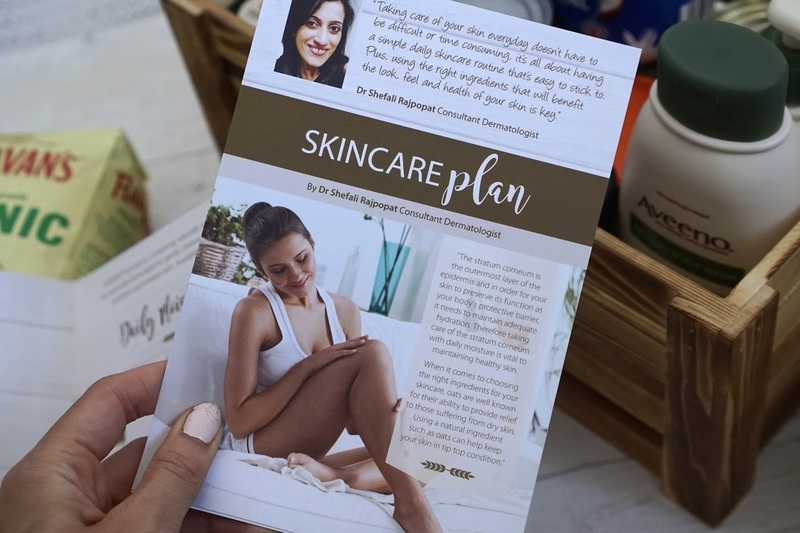 She explains that "taking care of your skin every day doesn't have to be difficult or time consuming, it's all about having a simple daily skincare routine that's easy to stick to". - Avoid long hot showers as they can remove the surface layer of natural oils on your skin. - Lock in as much moisture as possible after your shower by gently patting your skin dry and applying a moisturiser straight away (when your skin's water content is at its highest). - Be generous with your moisturiser as this provides the skin with hydration and helps to stimulate circulation and help your skin glow. - Gently exfoliate the skin once or twice a week to remove dull-looking dead skin cells and create a brighter complexion. - Get as many hours sleep as possible as the skin regenerates over night. I'll be taking the above tips on board, definitely drinking more water, trying to sleep more and eating well all week whilst moisturising daily to see if I see a difference with my skin! When it's cold, I hate moisturising my body, I find it way easier in Summer so at the moment, my skin does feel pretty dull, particularly my legs which are really dry at the moment. 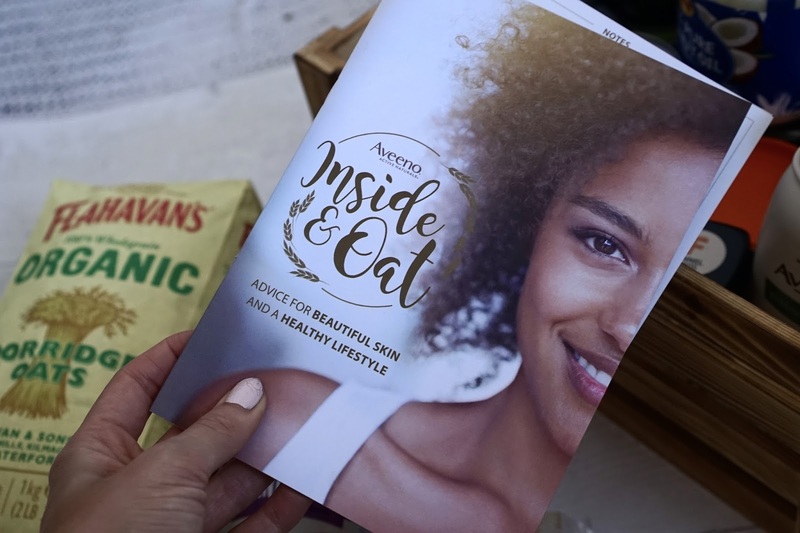 If you're not familiar with AVEENO, their products have oats in them which soothe the skin, increase skin hydration, soothe the skin, protect, cleanse and more so I'm really excited to team this with a healthy diet and see the results. I can't wait to get stuck into this plan. I'll be back in a week to report to you and let you know how I got on. The above are basically my essential items this week, along with my shopping list, I'll be using their moisturisers, drinking my Fiji water and the plan also recommends adding alkalising greens into my smoothies, which finally gives me the chance to try The Super Exlir, it might be expensive but it's a special powder which supports the function of the body, formulated with vitamins, Chinese herbs, enzymes, super-greens and more. It's completely natural and I feel it'll give me that nice boost in my smoothies. Let's do this! Visit www.aveeno.co.uk or www.facebook.com/AveenoUK for the whole AVEENO® range and for more information! 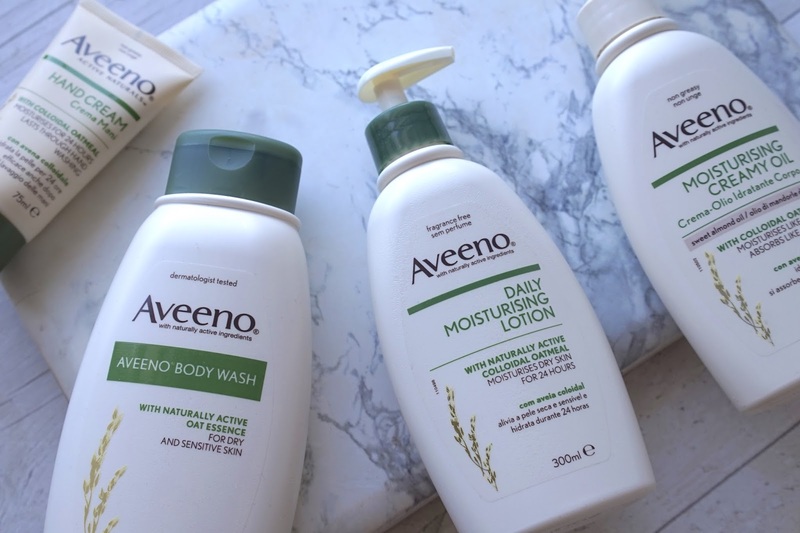 Have you ever used Aveeno? Do you like the sound of this? Do you believe in a healthy lifestyle? *Sponsored by Aveeno but as always, it's my honest opinion!